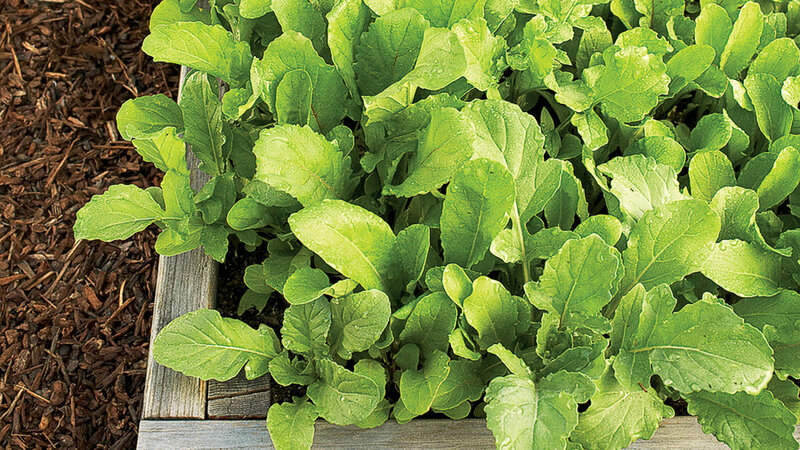 Arugula grows quickly and flourishes in cool weather. Cool-season veggies grow best at temperatures averaging 15° cooler than those needed by warm season types. Many have edible leaves or roots (lettuce, spinach, carrots, and radishes); others (artichokes, broccoli, cauliflower) are grown for their immature flowers. A few (peas, broad beans) produce edible seeds. Most can endure short periods of frost. In warm regions, plant cool season crops from late summer to early fall for harvest in late fall, winter, or early spring. In coldest regions where cool summers are the norm (Alaska, for example), plant cool season crops in May or June for summer harvest.